The vast majority of platinum production in the world comes from South Africa and Russia. Platinum is silver-white – it was once known as “white gold” – and it has a number of useful properties, which explains its application in a wide-range of industries. It is extremely resistant to tarnishing and corrosion (which makes it known as a “noble metal”) and is very soft and malleable, making it easy to shape. It is also ductile, making it easy to stretch into wire, and unreactive, which means it doesn’t oxidize and is unaffected by common acids. Platinum is one of the transition metals, a group that includes gold, silver, copper and titanium-and most of the elements in the middle of the periodic table. The atomic structure of these metals means they can bond easily with other elements. Platinum is commonly known for being used in the manufacturing of jewellery but its main applications spread to catalytic converters, electrical contacts, pacemakers, drugs and magnets. Here are 10 interesting facts that you may not know about platinum. 1. About 50 percent of cancer therapy patients currently use platinum-containing drugs and some of these drugs, such as cisplatin, are also used to treat tumours and cancer in animals. Platinum is considered a biologically compatible metal because it is non-toxic and stable, so it does not react with, or negatively affect body tissues. Recent research has also shown platinum to inhibit the growth of certain cancerous cells. 2. According to many analysts, platinum production is not likely to rise in coming years. The majority (about 80 percent) of platinum is mined in South Africa. Approximately 10 percent is mined in Russia, and the rest is found in North and South America. Because platinum and other Platinum Group Metals (PGM) metals usually aren’t found in large amounts, they are often by-products from mining other metals. South African producers have already recovered platinum that is close to the earth’s surface. Today, producers must dig far into the earth’s crust for the metal. Deeper mining translates into higher production costs and less total production of the commodity. 3. Nearly half of the platinum that is mined is used in catalytic converters, the part of the automobile that reduces toxic gases into less-toxic emissions. Platinum and other platinum metals can withstand the high temperatures required for the oxidation reactions that reduce the emissions. 4. A cylindrical hunk of platinum and platinum alloy is used as the international standard for measuring a kilogram. In the 1880s, about 40 of these cylinders, which weigh about 2.2 lbs. or 1 kilogram, were distributed around the world. 5. Platinum Group Metals or PGMs are some of the rarest metals found on earth. There are two subgroups of PGMs: Palladium Group-Platinum Group Elements (PPGEs) and Iridium Group-Platinum Group Elements (IPGEs). The first group consists of platinum, palladium, and rhodium. The second consists of iridium, osmium, and ruthenium. No PGMs tarnish and they are highly resistant to heat and chemical attack. They are all excellent conductors of electricity. 6. Objects that date back to around 700 BC have contained platinum. Other PGMs did not make their way onto the scene until the nineteenth century. Malleable platinum, obtainable only upon purification to essentially pure metal, was first produced by the French physicist P.F. Chabaneau in 1789; it was fabricated into a chalice that was presented to Pope Pius VI. The discovery of palladium was claimed in 1802 by the English chemist William Wollaston, who named it for the asteroid Pallas. Wollaston subsequently claimed the discovery of another element present in platinum ore: rhodium. The discoveries of iridium (named after Iris, goddess of the rainbow, because of the variegated colour of its salts) and osmium (from the Greek word for “odour,” because of the chlorinelike odour of its volatile oxide) were claimed by the English chemist Smithson Tennant in 1803. 7. London is the centre for platinum trading but physical delivery tends to take place in Zurich, Switzerland. The NYMEX division of the CME offers futures contracts on platinum. 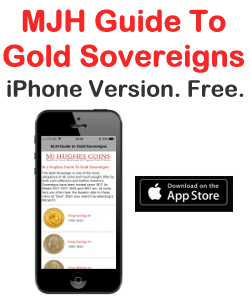 Each futures contract represents 50 ounces of the metal. The price of platinum tends to rise and fall with global industrial conditions. The price of platinum peaked in 2008 at $2,300 per ounce just before the global economic crisis of 2008. 8. Unlike gold and silver, which could be readily isolated in a comparatively pure state by simple fire refining, the platinum metals require complex aqueous chemical processing for their isolation and identification. Because these techniques were not available until the turn of the 19th century, the identification and isolation of the platinum group lagged behind silver and gold by thousands of years. In addition, the high melting points of these metals limited their applications until researchers devised methods for consolidating and working platinum into useful forms. 9. The fashioning of platinum into fine jewellery began about 1900, but, while this application remains important even today, it was soon eclipsed by industrial uses. After the second world war, the expansion of molecular conversion techniques in the refining of petroleum created a great demand for the catalytic properties of the platinum metals. This demand grew even more in the 1970s, when automotive emission standards in the United States and other European countries led to the use of platinum metals in the catalytic conversion of exhaust gases. 10. Extracting platinum is both capital and labour intensive. It can take up to 6 months and 7 to 12 tons of ore to produce one troy ounce (31.135g) of pure platinum. The first step in this process is to crush platinum containing ore and immerse it in reagent containing water-a process known as ‘froth flotation’. During flotation, air is pumped through the ore-water slurry. Platinum particles chemically attach on to the oxygen and rise to the surface in a froth that is skimmed off for further refining. Once dried, the concentrated powder still contains less than 1% platinum. It is then heated to over 2732F (1500C) in electric furnaces and air is blown through again, removing iron and sulphur impurities. Electrolytic and chemical techniques are employed to extract nickel, copper and cobalt, resulting in a concentrate of 15-20% PGMs. Aqua regia (a concoction of nitric acid and hydrochloric acid) is used to dissolve platinum metal from the mineral concentrate by creating chlorine that attaches to platinum to form chloroplatinic acid. In the final step, ammonium chloride is used to convert the chloroplatinic acid to ammonium hex chloroplatinate, which can be burned to form pure platinum metal. The good news is that not all platinum is produced from primary sources in this long and expensive process. According to United States Geological Survey (USGS) statistics, about 30% of the 8.53 million ounces of platinum produced worldwide every year come from recycled sources. Platinum recycling helps promote and protect the future use of a valuable natural resource. Platinum refining terms are customized based on the type and quantity of the platinum scrap you have and the service that you need. ALL WASTE MATTERS ARE A WASTE DISPOSAL COMPANY BASED IN THE UK. AS A LEADING WASTE MANAGEMENT COMPANY WE DEAL IN HAZARDOUS WASTE DISPOSAL, PAINT DISPOSAL, PRECIOUS METAL REFINING AND CHEMICAL WASTE DISPOSAL UK. 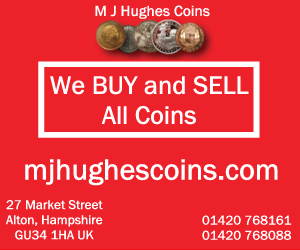 The Platinum Britannia Set pictured above is available from M J Hughes Coins. A Stunning Gem 2016 1/10oz Platinum Noble Coin .9995!!! 1997-W $25 PLATINUM STATUE LIBERTY 1/4 Oz. EAGLE NGC PF70. NO RESERVE AUCTION! 2007-W 1/2 oz Reverse Proof Platinum Eagle PCGS PR70 First Strike. NO RESERVE!! 2007 AMERICAN PLATINUM EAGLE 4-COIN PROOF SET, ORIGINAL W/COA ** TRUE AUCTION! 2006 AMERICAN PLATINUM EAGLE 4-COIN PROOF SET, ORIGINAL W/COA ** TRUE AUCTION! 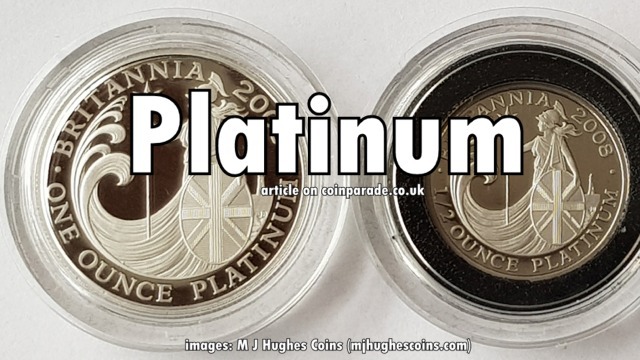 2018 Great Britain 1/10 oz Platinum Britannia.